The Middle East Oil Producing Countries, Collapse of Crude Oil Price, Selling the Family Heirlooms? It seems the oil producing countries are beginning to sweat. It finally dawned upon them that their oil revenues are in trouble, and turbulent, if not perilous, financial times are ahead. Venezuela is in shambles, Nigeria is thrashing to keep its head above water, Mexico is desperately trying to hedge its oil on the forward markets and the others are scratching their heads for bright ideas. It could still get a lot worse, and a few years ago, we warned that wars could be triggered. As for the Middle East oil producing countries, their vast and growing welfare spending which has sustained their economies and polities has suddenly had the rug pulled from underneath it, and oil revenues have collapsed. And, after a period of denial, these countries are now scrambling to try change the direction of the oncoming hurricane. One must admit, that their approach is innovative, but also risky. Most of the Middle East oil producers have drawn up ambitious restructuring plans to diversify their economies and wean their citizens off the welfare teat. And, as an extra measure, they coupled those plans with economic reform plans, which in essence, are austerity measures. Nevertheless, they remain plans and need to be continuously reassessed and amended. Rigid plans do not guarantee success. To fund their diversification strategy away from oil, most of these countries have opted to sell assets. Not any assets, but their oil assets! Abu Dhabi recently announced that it will be selling minority stakes in its downstream oil businesses, such as oil services, refineries, oil trading subsidiaries, tank farms, pipelines…etc. 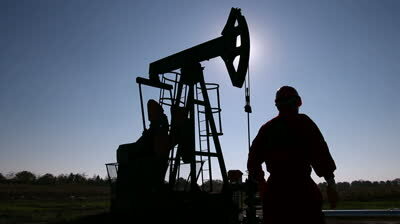 It will not, however sell any of its upstream, oil production operation. They justify this sale as a method to generate capital to fund its economic diversification plan, as well as boost its oil sales by incentivizing its customers, with a direct ownership interest, and hence buy more products and services. Earlier, Oman had announced a, more or less, similar plan to sell off parts of its oil assets to attract foreign capital. One approach that it has taken is to sell part of its ownerships in companies listed on the Muscat stock exchange, starting with Salalah Methanol Co. This approach carries the added benefit of stimulating the local stock exchange which has been tepid for a while. Much earlier, Saudi announced last year its ambitious diversification plan which will be funded by selling 5% of Aramco, its main oil producing company, and is expected to be initiated by the end of 2017 – subject to its valuation at a price acceptable to both, the sellers and the potential buyers. Kuwait, chose a different approach to the funding of its diversification plan. It figured that, as its present credit worthiness was high and interest rates low, it may as well borrow from the international markets – and worry later about servicing and repaying the loans. This all may be fine and dandy, but – and a big ‘But’ for sure – what happens if the plans don’t work? It is not like these countries have a comforting successful track record of prudent economic management. Oil has been in play in these countries for 50 to 80 years. Never dreamed of, oil revenues have flowed into their coffers, but very little real development or diversification has taken place. Why would they imagine that they can pull off a great transformation in a mere 5 to 15 years? No doubt the publicly announced plans, at least for Kuwait and Saudi, are ambitious and impressive. But, how realistic are they? Their details (feasibility studies, numbers, cost benefit analysis, etc.) need to be transparently clarified. Secondly, realism begets the question of how successful is the selling of the oil assets going to be. It certainly is not an easy task. It is far from a sellers’ market (especially for a semi-distressed seller), the world economy is teetering, the oil business is in the doldrums and, above all, why would any foreigner in his right mind, use scarce capital to buy a tiny minority stake in a government majority-owned business, whose operation could be subject to fiat and government diktat? Thirdly, the tendency of these countries to trigger, overnight, harsh austerity programs is akin to shooting yourself in the foot before taking the first step of economic development and diversification. Development and diversification presume the presence of a wide and equally robust economic players in the market. Classical austerity programs are more likely to stifle economic growth and increase income and wealth inequality – even by the IMF’s reluctant admission. Lastly, a nagging thought keeps popping its head, why would a far-sighted farmer sell part of his cow and forever lose part of the milk revenue. The Middle East oil producers can make do with their present income by reducing waste, extravagance, military spending and, as in the case of the farmer who upgrades his milk to such higher value products as cheese, butter and cream, and gets rid of the Ferrari in his garage. Similarly, these countries may be able to fund their economic diversification plans, albeit in form that is less ambitious than what they are imagining at present. Also, it may take little longer to realize, but the risks would be dramatically smaller, and more easily mitigated. This discussion reminds us of the folklore tales about the self-made millionaire who, during his rise to success, stumbled and had to auction off his wife’s gold and jewelry to fund his way back to the top. However, these tales make no mention of the thousands of businessmen who failed to rise, despite selling their wife’s gold, and went on, to bankruptcy and poverty.